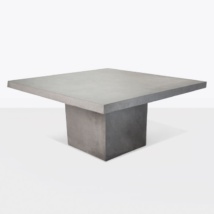 The Holly outdoor dining table has a natural, modern and stylish design and that suits up to 6 people. The light grey form is made up of a blend of concrete, resin and fiberglass. The manufacturer has added a final coating of outdoor sealer. 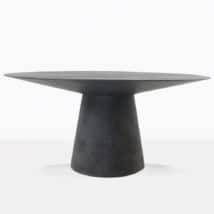 It is to prevent water from penetrating the pores of the tabletops. This also adds a UV protection feature as well. The pedestal design is dramatic and interesting. 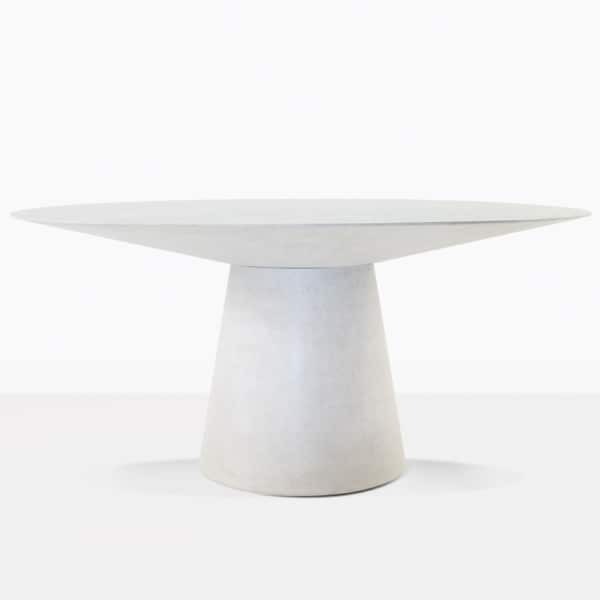 The base is wide but the tabletop tapers on the outer edges making is elegant. 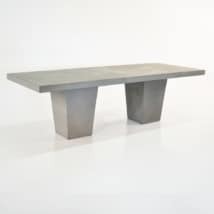 The Holly concrete table in its natural grey color is the perfect color to suit great decors inside or out.